Enjoy these deals and promotions from Transcat. Check back often, as deals change frequently! Also SAVE$100's by checking out our Clearance section. 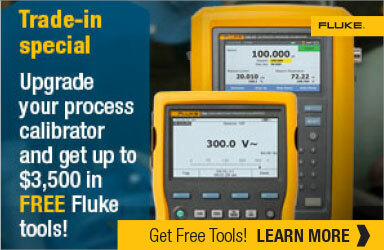 Get up to $3,500 in FREE Fluke Tools! Upgrade to the Fluke 729 Pressure Calibrator or the 754 Documenting Process Calibrator, trade-in any brand of an old documenting calibrator & get FREE GIFTs. 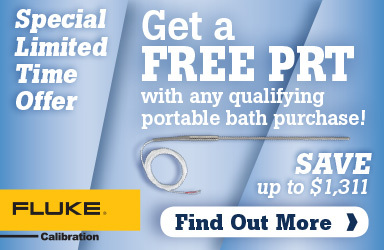 Get a free 5615 or 5609 Temperature Probe with the purchase of qualifying Fluke Calibration Portable Calibration Baths - up to $1,311 in savings. 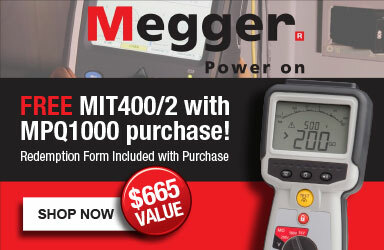 Get a free MIT400/2 1kV Insulation Tester with the purchase of a Megger MPQ1000 Power Quality Analyzer. Spend $200 or more on FLIR products and get rewarded! Limited Time - Get Free FLIR tools when spending $200 or more. Trade in and save 20% on a New Trex! 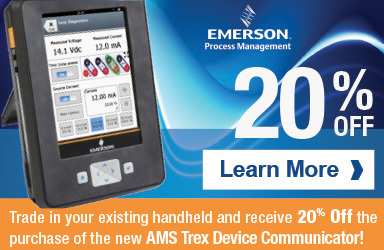 Trade in your existing handheld and receive 20% off a new AMS Trex Device Communicator. Trade in and save 25% on a New 475! 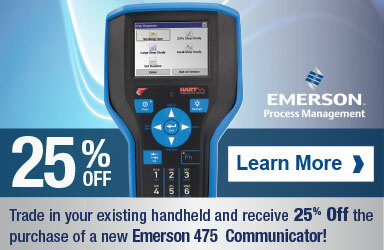 Trade in your existing handheld and receive 25% Off the purchase of a new Emerson 475 Communicator! 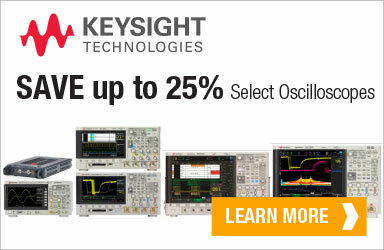 Up to 25% Off Your Next Scope! 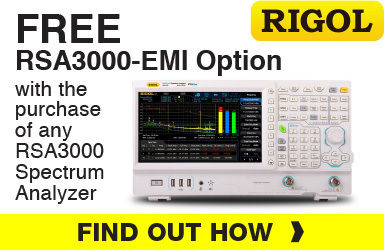 FREE RSA3000-EMI Option with any RSA3000 Spectrum Analyzer Purchase! 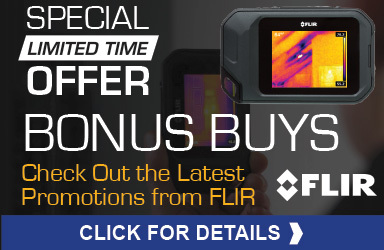 Purchase any FLIR ONE Pro and receive a FREE gift! 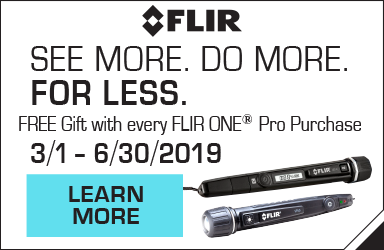 Get a FREE flashlight with any FLIR ONE Pro purchase! 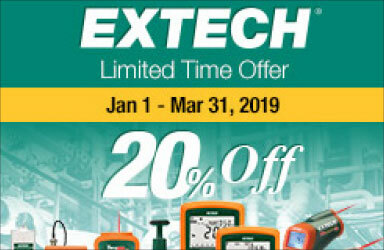 Get 20% off when you buy specific Extech Products. 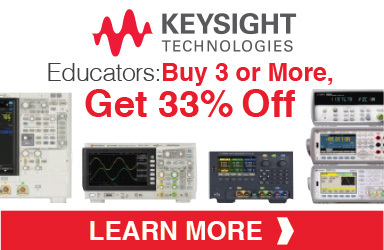 Limited Time - Get 20% off when you select Extech Predictive Maintenance Instruments. 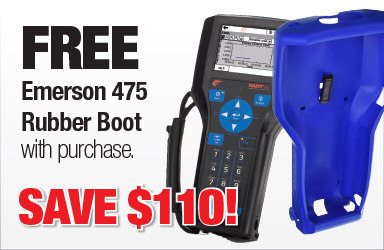 Limited Time - Get a Free Rubber Boot when purchasing select Emerson 475 Communicators. Have a functional or non-functional Altek calibrator laying around? 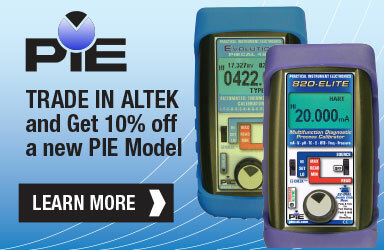 Trade it in and get 10% off a brand new PIE model. 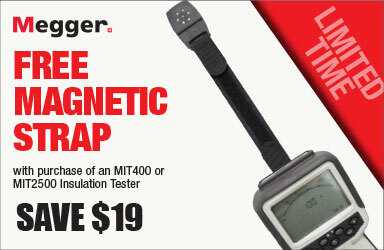 Receive a free Magnetic Strap with the purchase of a Megger aMIT400/2 Series or MIT2500 insulation tester. 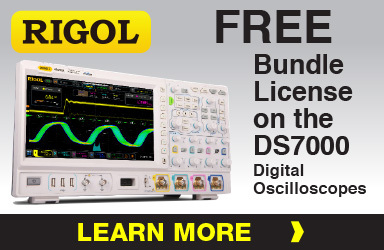 Receive a FREE Bundle License with any new DS7000 Digital Oscilloscope. 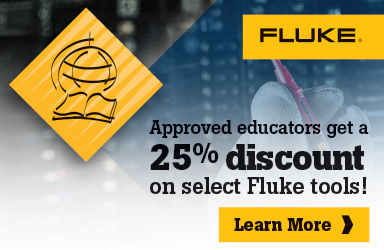 Educators at not-for-profit national technical and vocational schools, colleges, universities, and apprenticeship programs can receive a 25 percent discount on select Fluke tools. 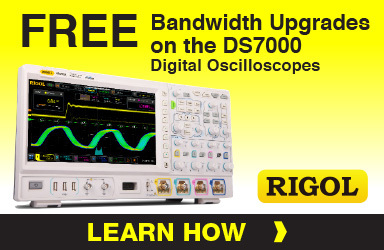 With select RIGOL DS7000 Digital Oscilloscope purchases you can get a FREE bandwidth upgrade! Meriam ZA900447-00052 DB-9 Cable, Male x Female, 6 ft.